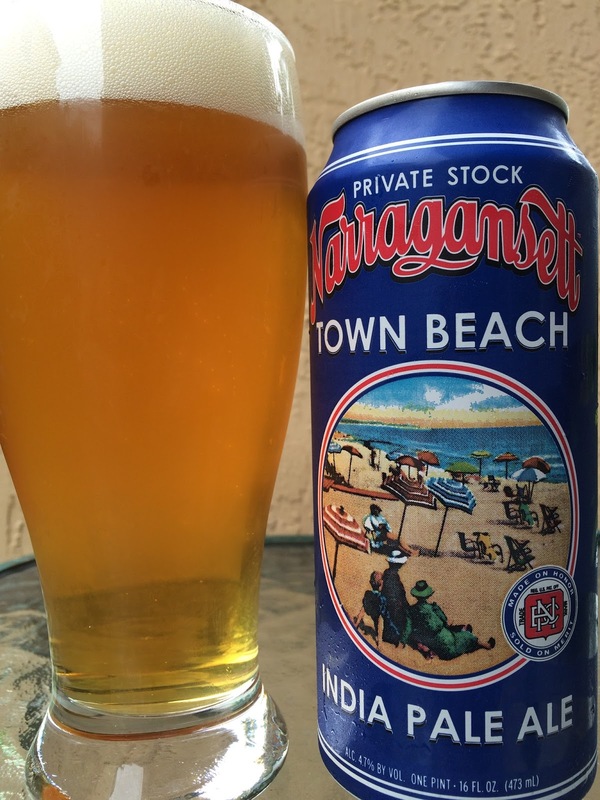 I saw a new Narragansett pounder can the other day, Town Beach India Pale Ale, and decided it was a must try! The can has an illustration depicting one of the many New England Town Beaches of the 1890's. 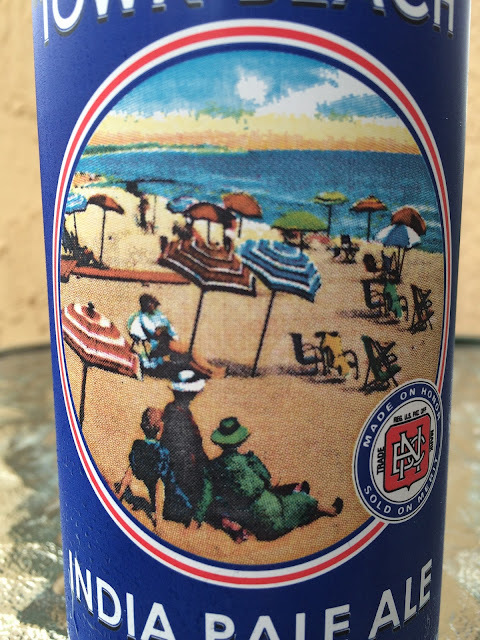 Not quite sure why, but the art reminded me of Georges Seurat's Sunday Afternoon on the Island of La Grande Jatte, a painting that was actually from exactly that time frame. Perhaps it is the impressionist style that caught my attention along with a similar scene. A story on the back of the can explains the history of the Narragansett seashore, the meaning of the Town Beach, and ends with a quote to help you prepare for this beer. 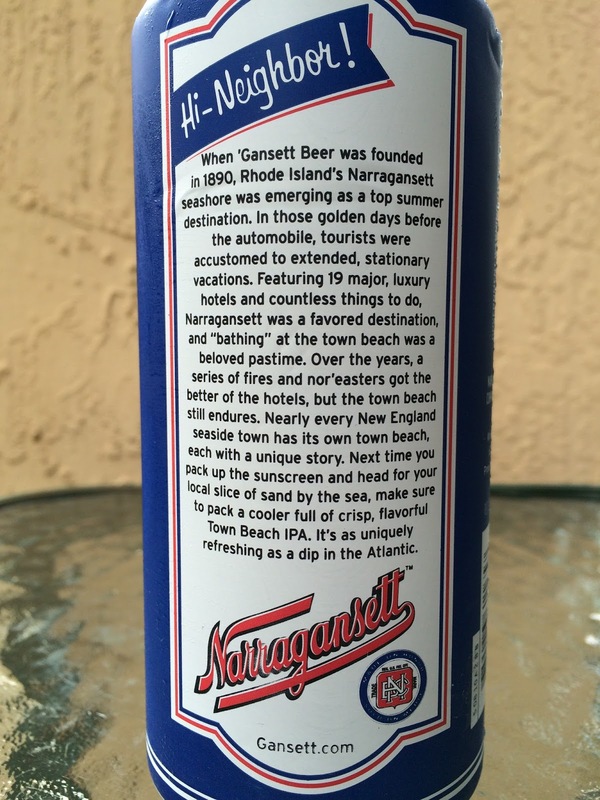 "It's as uniquely refreshing as a dip in the Atlantic." 4.7% alcohol. Fluffy head. Lemon and grapefruit aroma. Lemony, flowery flavor profile to start. Sourdough bread comes next. Starts with decent bitterness which actually just compounds throughout the experience. By the finish, that bitterness dominates, is the only thing going on in the beer and is astringent and slightly unpleasant. Very simple, definitely bland and surely thin, weird bitterness! Pass.